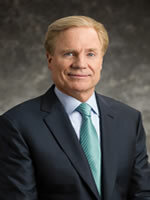 Mr. Fairbank is founder, Chairman, Chief Executive Officer, and President of Capital One Financial Corporation. As an innovator and entrepreneurial leader, Mr. Fairbank has grown Capital One from a start-up to one of the ten largest banks in America and 100 largest companies in the country as ranked by Fortune Magazine. Mr. Fairbank has been the CEO since the Company’s Initial Public Offering in November 1994 and has served as the Chairman and CEO since February 1995. Since the founding of the Company, Mr. Fairbank has been responsible for overseeing both the Company’s strategic direction as well as management of Capital One’s day-to-day operations, and has driven strong organic business growth and executed a series of strategic acquisitions across retail and direct banking, credit cards, auto lending, and technology. Mr. Fairbank has extensive experience in financial services and has led the development, growth, and transformation of the Company’s business capabilities since its founding, including technology, risk management, brand, customer experience, and talent development and diversity. Prior to Capital One, Mr. Fairbank was Vice President and head of the banking practice at a national strategy consulting firm. Mr. Fairbank served on MasterCard International’s Global Board of Directors from February 2004 until May 2006. Ms. Chennapragada, a computer scientist and current Vice President at Google, has more than 18 years of experience in leading teams, driving strategy, and developing successful flagship products. As an accomplished executive with experience in technology innovation and development, leading change initiatives, product development, strategy, machine learning, and talent management, she brings significant insights on mobile, artificial intelligence, and technology’s transformational impact on business and consumers. Ms. Chennapragada has been a leader at Google for more than a decade and has served as Vice President of Product Management since October 2017, where she oversees product management for new product areas in augmented reality. Prior to her current role, Ms. Chennapragada was a Senior Director and Technical Assistant to the CEO at Google from May 2016 to September 2017, where she helped drive various company-wide product efforts and company-wide product strategy reviews. She also served as a Director and Group Product Manager for Google Now from March 2013 to April 2016, was a Senior Product Manager on Google Search from September 2010 to February 2013, and began her career with the company leading a team of 30 research scientists and engineers in the development of new algorithmic features for YouTube and Google from July 2008 to September 2010. 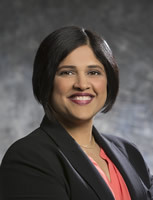 Prior to joining Google, Ms. Chennapragada served in various roles at Akamai Technologies, Inc. from September 1999 to June 2008. Ms. Hackett has more than 30 years of experience in developing and leading critical strategic and human capital initiatives. She has worked with boards of directors, chief executive officers and senior executives to identify strategic opportunities and execute solutions during periods of business and financial challenges and transformation. Ms. Hackett also has experience in corporate governance and risk matters as a result of her participation with public company boards of directors and related governance committees, non-profit boards and consulting engagements. Ms. Hackett is currently a partner of Personal Pathways, LLC, a technology company she co-founded in 2007 to provide companies with a web-based enterprise collaboration insights platform to better advance high performance professional relationships and support the kind of complex problem-solving required in today’s distributed workplace. 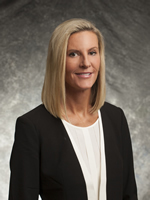 Prior to her current role at Personal Pathways, in 1996 she founded and served as the President of Horizon Consulting Group, LLC, providing global consumer product and service companies with innovative strategy and human capital initiatives. 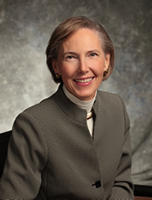 Prior to launching Horizon Consulting, Ms. Hackett spent 11 years at a leading national strategy consulting firm where she served as Vice President and Partner, served on the Management Committee, led Human Resources, and developed her expertise in strategy, managing cultural change, creating performance management processes and a performance-based culture, developing leadership talent, and planning for executive succession. Ms. Hackett is also a member of Tapestry Networks’ Lead Director Network, a select group of lead directors who collaborate on matters regarding board leadership. She also previously served as a director of Beam, Inc. (formerly Fortune Brands, Inc.) from December 2007 until April 2014. Former Chairman, Chief Executive Officer and President, NextEra Energy, Inc.
Mr. Hay served in a variety of executive positions at NextEra Energy, Inc. (“NextEra”) (formerly FPL Group, Inc.), including Chief Executive Officer (2001-2012), Chairman (2002-2012) and President (2001-2006). NextEra is one of the nation’s leading electricity-related services companies and the largest renewable energy generator in North America. Mr. Hay served as Executive Chairman of NextEra from July 2012 until he retired in December 2013 and as a director of NextEra from June 2001 through December 2013. While at NextEra, he also served as Chief Executive Officer of Florida Power & Light Company from January 2002 to July 2008. He joined NextEra Energy in 1999 as Vice President, Finance and Chief Financial Officer and served as President of NextEra Energy Resources, LLC (formerly FPL Energy, LLC) from March 2000 until December 2001. He currently serves as an Operating Advisor for Clayton, Dubilier & Rice, LLC, a private equity investment firm. Mr. Hay is a former chairman of both the Edison Electric Institute, the association of U.S. shareholder-owned electric companies, and the Institute of Nuclear Power Operations. Mr. Hay also served as Chair of the Electricity Subsector Coordinating Council, an organization that coordinated government and electricity industry cyber security initiatives, as well as on President Obama’s Council on Jobs and Competitiveness. Former Senior Advisor, Managing Director and Vice Chairman for Retail Banking, Morgan Stanley & Co.
Mr. Jenkins served as Senior Advisor, Managing Director, and Vice Chairman for Retail Banking at Morgan Stanley & Co., a financial services firm, from January 2009 to January 2011. 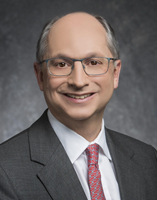 Prior to that, he had a 38-year career with Wachovia Corporation (now Wells Fargo & Company), a financial services company, where he was Vice Chairman and President of the General Banking Group. He is credited with advancing the profitability of the General Bank through improvements in customer service and the reduction of customer attrition to industryleading levels. He and his team were instrumental in the integration of the First Union/Wachovia and Wachovia/SouthTrust mergers, and Mr. Jenkins led the successful expansion of Wachovia’s banking network. He also previously served on the boards of Visa USA and Visa International. Mr. Killalea, a seasoned technology executive and advisor, has deep expertise in product development, digital innovation, customer experience, and security. Mr. Killalea is currently the Owner and President of Aoinle, LLC, a consulting firm he founded in November 2014 to provide advice to technology-driven companies. From May 1998 to November 2014, Mr. Killalea served in various leadership roles at Amazon, most recently as its Vice President of Technology for the Kindle Content Ecosystem. He led Amazon’s Infrastructure and Distributed Systems team, which later became a key part of the Amazon Web Services Platform. Prior to that, he served as Amazon’s Chief Information Security Officer and Vice President of Security. Mr. Killalea also currently serves on the editorial board of ACM Queue (Association for Computing Machinery). He previously served on the board of Xoom Corporation (acquired by PayPal Inc.) from March 2015 to November 2015. Mr. Leenaars has over 30 years of experience in the financial services sector, including institutional and investment banking, asset management, corporate and retail banking, and in cultivating sophisticated client relationships. A respected expert on the future of digital banking, as well as global industry trends in finance, investment, banking, and leadership, Mr. Leenaars has experience managing businesses through a wide range of matters including complex corporate restructuring, strategic initiatives, and challenging financial environments. Mr. Leenaars has served as Vice Chairman of the Global Wealth Management Division at UBS Group AG, a Swiss multinational investment bank and financial services company, since April 2015. In this role, he engages on senior relationship management with a focus on UBS’ largest non-U.S. clientele. Prior to joining UBS, Mr. Leenaars enjoyed a 24-year career at ING Group N.V., a Dutch multinational banking and financial services company, and various of its subsidiaries. From January 2010 until March 2015, he served as the CEO of ING Retail Banking Direct and International for ING, where he was responsible for Retail Banking and Private Banking worldwide. This included serving as CEO of ING Direct N.V., the parent company of ING Direct in the U.S., which pioneered the national direct deposit platform. Between 2004 and 2010, Mr. Leenaars was also member of ING’s Executive Board with responsibility for ING’s Global Retail and Private Banking operations and Group Technology and Operations. In addition, Mr. Leenaars previously served as a member of our Board from May 2012 to September 2012 in connection with Capital One’s acquisition of ING Direct. Mr. Leenaars is a member of the Supervisory Board of the Royal Concertgebouw (Amsterdam) and member of the Executive Committee of the Trilateral Commission (Paris, Tokyo, and Washington, DC). Mr. Leroy has a deep knowledge and understanding of business operations and complex financial requirements through his experience as CEO and Executive Chairman of a digital analytic software company and managing partner of an advisory and consulting business, in addition to his experience leading and managing large complex international marketing, engineering and manufacturing organizations and serving on other public company boards. In 2015, Mr. Leroy established Aspiture, LLC, an advisory and private equity firm which invests primarily in digital companies offering unique customer solutions. Prior to launching Aspiture, Mr. Leroy served in various leadership roles at Vigilant Solutions, Inc. (formerly Vigilant Video, Inc.), an industry-leading pioneer of innovative intelligence solutions that help law enforcement protect officers, families and communities. These leadership roles included Executive Chairman of Vigilant (from March 2012 to 2015), and as Chief Executive Officer (from July 2012 until June 2013). Mr. Leroy spent much of his professional career at Deere & Company, a world leader in providing advanced products and services for agriculture, forestry, construction, lawn and turf care, landscaping and irrigation, which also provides financial services worldwide and manufactures and markets engines used in heavy equipment. While at Deere & Company, Mr. Leroy served as President of both the Worldwide Construction & Forestry Division and the Global Parts Division before retiring in 2005, and also served in a number of positions in finance, including Treasurer, Vice-President and Treasurer, and Senior Vice-President and Chief Financial Officer. 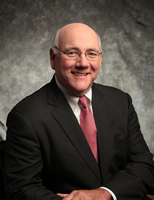 Mr. Leroy has also served as a director on the boards of United Rentals, Inc. (from April 2012 to May 2015), RSC Holdings Inc. and RSC Equipment Rental from (May 2008 to April 2012 (when RSC was acquired by United Rentals), and Beam, Inc. (formerly Fortune Brands, Inc.) (from September 2003 to February 2012). President, Chief Executive Officer, and Director, F5 Networks, Inc.
Mr. Locoh-Donou has nearly two decades of enterprise technology experience, building a wide range of product teams, and operations around the world. He is well known for his ability to envision where industries are going and inspire organizations to identify and execute on future growth opportunities - especially in the areas of cloud, software, analytics, and security. In April 2017, Mr. Locoh-Donou was hired as the President and Chief Executive Officer of F5 Networks, where he has refocused the company on Applications Services Software (including Security) for Multi-Cloud environments. He is also the only management member of the F5 Board of Directors. 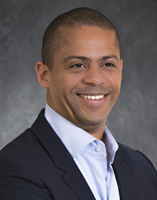 Prior to joining F5, Mr. Locoh-Donou held successive leadership positions at Ciena Corporation (from 2002 to March 2017), a network strategy and technology company, including Chief Operating Officer; Senior Vice President, Global Products Group; Vice President and General Manager, EMEA; Vice President International Sales; and Vice President and Marketing. Prior to joining Ciena, Mr. Locoh-Donou held research and development roles with Photonetics, a French opto-electronics company. Mr. Locoh-Donou is also the co-founder and Chairman of Cajou Espoir, a cashew-processing facility that employs several hundred people in rural Togo, 80 percent of whom are women. Mr. Raskind has more than 30 years of banking experience, including in corporate banking, retail banking, wealth management/trust, mortgage, operations, technology, strategy, product management, asset/liability management, risk management and acquisition integration. Through his extensive banking career, he has served in a number of leadership roles and held positions of successively greater responsibility in a broad range of consumer and commercial banking disciplines, including cash management services, corporate finance, international banking, wealth management and corporate trust, retail and small business banking, operations and strategic planning. Most recently, Mr. Raskind was a consultant to banks and equity bank investors as the owner of JMB Consulting, LLC, which he established in February 2009 and managed through 2017. Prior to founding JMB Consulting, Mr. Raskind served as Chairman, President and Chief Executive Officer of National City Corporation, one of the largest banks in the United States, until its merger with PNC Financial Services Group in December 2008. Mr. Raskind has served as a director of United Community Banks, Inc. and Visa USA and Visa International. He also served on the board of directors of the Consumer Bankers Association, was a member of the Financial Services Roundtable, and on the executive committee of the National Automated Clearing House Association. In addition, Mr. Raskind served as Interim Chief Executive Officer of the Cleveland Metropolitan School District in 2011, and in 2010, he served as Interim Chief Executive Officer of the Cleveland-Cuyahoga County Port Authority. Mr. Shattuck has decades of experience in global corporate finance and lending, corporate strategy, capital markets, risk management, executive compensation and private banking, has led two large, publicly-held companies and has served on other public company boards. Mr. Shattuck is currently Chairman of the Board of Chicago-based Exelon Corporation, the nation’s largest competitive energy provider and commercial nuclear plant operator. 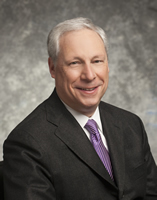 He previously served as Executive Chairman of the Board of Exelon from March 2012 through February 2013. Prior to its merger with Exelon, Mr. Shattuck was Chairman, President and Chief Executive Officer of Constellation Energy Group, a leading supplier of electricity to large commercial and industrial customers, a position he held from 2001 to 2012. 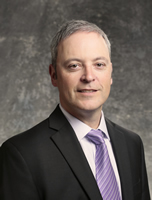 Mr. Shattuck also has extensive experience in the financial services industry. He was previously at Deutsche Bank, where he served as Chairman of the Board of Deutsche Banc Alex. Brown and, during his tenure, also served as Global Head of Investment Banking and Global Head of Private Banking. 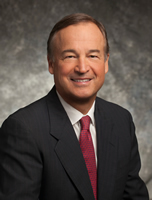 From 1997 to 1999, Mr. Shattuck served as Vice Chairman of Bankers Trust Corporation, which merged with Deutsche Bank in 1999. In addition, from 1991 to 1997, Mr. Shattuck was President and Chief Operating Officer and a director of Alex. Brown & Sons, a major investment bank, which merged with Bankers Trust in 1997. Mr. Shattuck is the former Chairman of the Institute of Nuclear Power Operators. Mr. Warner has deep experience in a broad range of commercial, consumer, investment and international banking leadership roles, as well as in corporate banking functions, customer relationships, corporate culture change management, enterprise risk management, and technology. Mr. Warner served in a variety of executive positions at BankBoston, FleetBoston and Bank of America from 1975 until his retirement in 2004. These positions included President of Premier and Small Business Banking, Executive Vice President of Personal Financial Services, and Vice Chairman of Regional Bank. 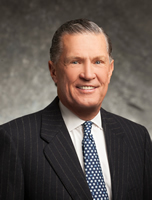 Throughout his banking career, Mr. Warner served in leadership roles for many of the major business lines and functional disciplines that constitute commercial banking, including leadership of retail and branch banking, consumer lending (credit cards, mortgage and home equity), student lending and small business; various corporate banking functions, including community banking and capital markets businesses, such as underwriting, trading and sales of domestic and international fixed income securities, foreign exchange and derivatives; international banking businesses in Asia, northern Latin America and Mexico; and several investment-related businesses, including private banking, asset management and brokerage. He also served on the most senior management policy and governance committees at BankBoston, FleetBoston and Bank of America. Ms. West has a multifaceted background in financial services with more than 30 years of experience in financial services operations, business line management (P&L), regulatory matters, technology platform conversions, process automation and innovation, and strategy development. She has experience in initial public offerings, and mergers and acquisitions, and has a keen understanding of business strategy, operations, and the regulatory perspective in the financial services industry. Ms. West served as a Special Advisor to Promontory Financial Group, a financial services consulting firm, from May 2013 until her departure in October 2013, and as Managing Director from April 2012 until April 2013. From March 2011 to April 2012, Ms. West was the Associate Director and Chief Operating Officer of the Consumer Financial Protection Bureau (the “CFPB”) a federal agency tasked with regulating U.S. consumer protection with regard to financial services and products, where she led the start-up of the agency’s infrastructure. While at the CFPB, Ms. West also played an integral part in implementing a Consumer Response unit designed to solicit views from consumers regarding their experiences with financial institutions and leveraged those views to effect policy change. Prior to joining the CFPB, she served as the Chief Operating Officer of J.C. Penney from August 2006 to December 2006. Ms. West was an executive officer at Capital One Financial Corporation from March 2000 to July 2006, where she served in roles that included President of the U.S. Card business and Executive Vice President of U.S. Consumer Operations. Prior to her time at Capital One, Ms. West spent over 10 years primarily in consumer card banking at several institutions. The table below provides a summary of the Board's committee membership. As a management director, Mr. Fairbank is not a member of any Board committee.